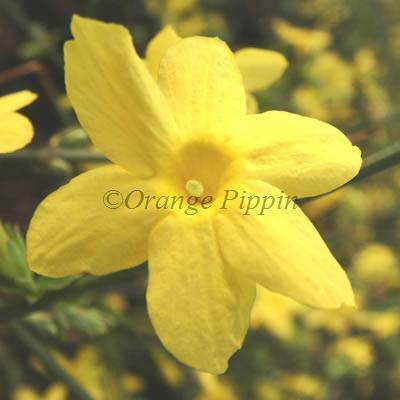 Jasminum nudiflorum bears clear yellow flowers in huge numbers all through the winter. These spring out of green stems where in summer small green leaves were found. 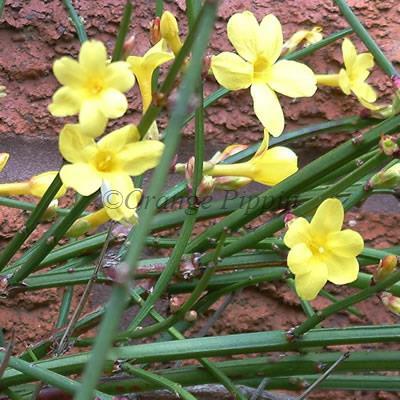 Although Jasminum nudiflorum can be trained to grow on a fence or wall, it is perfectly happy left to develop into a cheerful hummock. When Jasminum nudiflorum first came to the British Isles it was though to be frost-tender and therefor grown under glass!